Since 1992 our focus has been on high efficiency, high reliability compressed air systems. We operate across the whole of London, the South and the South-East of England. Our expertise, attention to detail and use of advanced engineering allows us to deliver energy saving systems with outstanding reliability, which combine to offer very low total lifetime cost solutions. We are authorised distributors for HPC and Bambi compressors. All of our new HPC compressors come with a market-leading 5 year no quibble guarantee (terms apply) which covers all parts and labour. 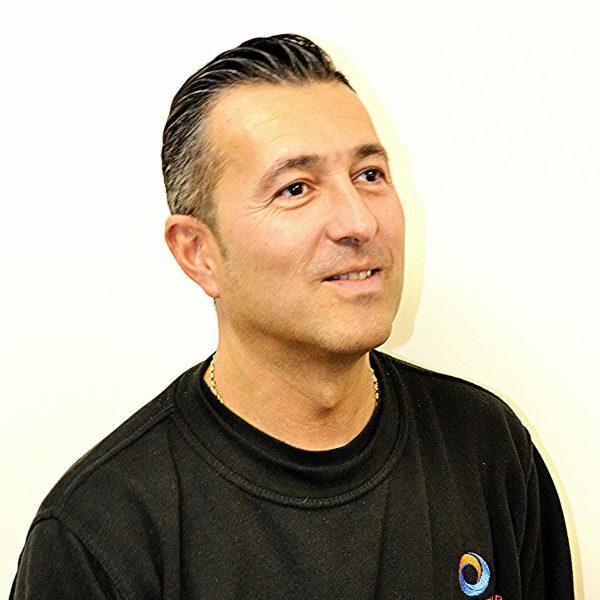 Serge is the Director and owner of Compressed Air Centre since September 2017. He is a physicist by education and has a broad business experience having worked in strategy consultancy and financial services. He is involved in several businesses as executive and non-executive director. In his free time, and in no particular order, Serge loves to spend time with his family, read, keep cross-fit, practice krav maga and dance salsa. 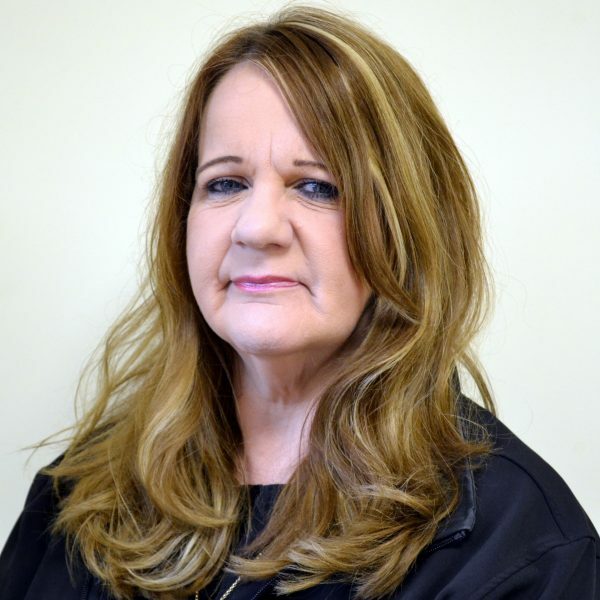 Kim has served for 26 years with us as Service Manager. You name it, she is responsible for it. She works closely with Serge in maintaining good customer relationships and the general day to day running of the company. Believe it or not she is a bit of a biker chick and at the weekends her and her husband can be found riding here, there and everywhere on their Triumph Thunderbird. She is also the proud owner of Shep, the company mascot. Colin is the longest serving member of staff having been with us since the company started 27 years ago. As Senior Engineer he responds to the majority of our breakdown calls and is our technical geek. In his spare time he is a very keen rambler, photographer, fisherman and all round computer techie. 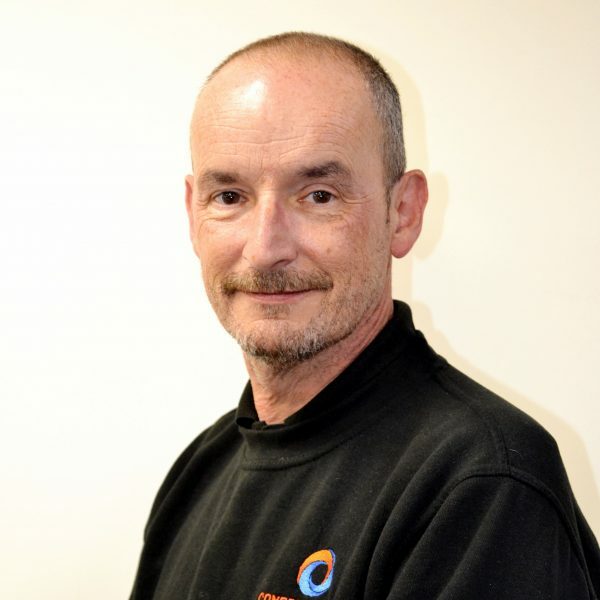 Nick has been with the company for 23 years and is our installation and pipework guru. He is passionate about his work and takes great pride in what he does. 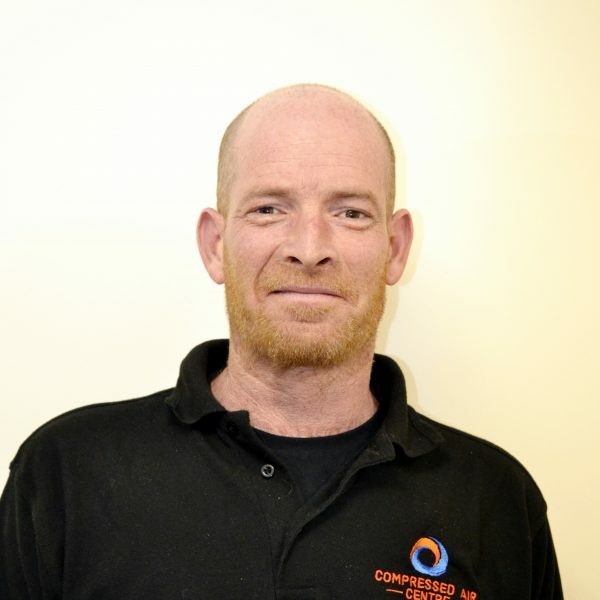 Nick is always in great demand and has gained the trust and respect of all our customers when it comes to compressor installations and pipework. What does he do for fun? Well Nick is a devoted father and has always been a keen and enthusiastic sportsman. He enjoys golf, sea fishing, swimming and cycling….. oh, and the odd glass of wine or two. 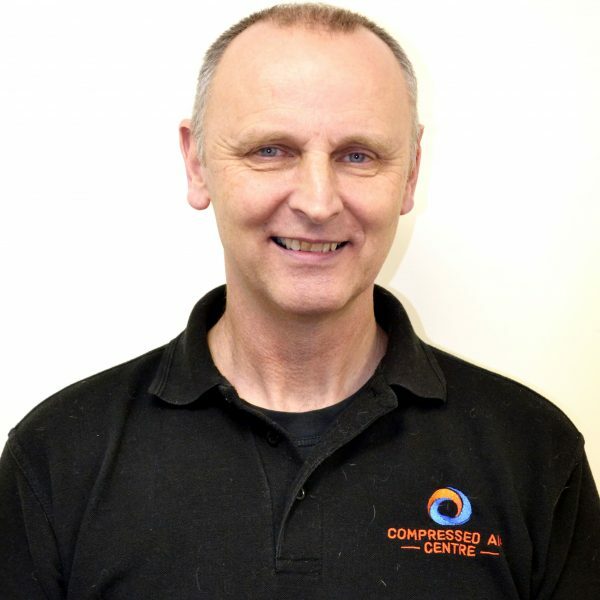 Ray has now been with the company for four years having worked all of his life as a vacuum pump engineer. He is hot on the heels of Nick to becoming our pipework and installation wizard. Having said that he is hot on the heels of Colin to becoming our breakdown champion. In his spare time he enjoys fishing and is everyone’s odd job man, being very keen on a bit of D.I.Y., that is when his wife (our Service Administrator) has run out of lists of jobs for him. 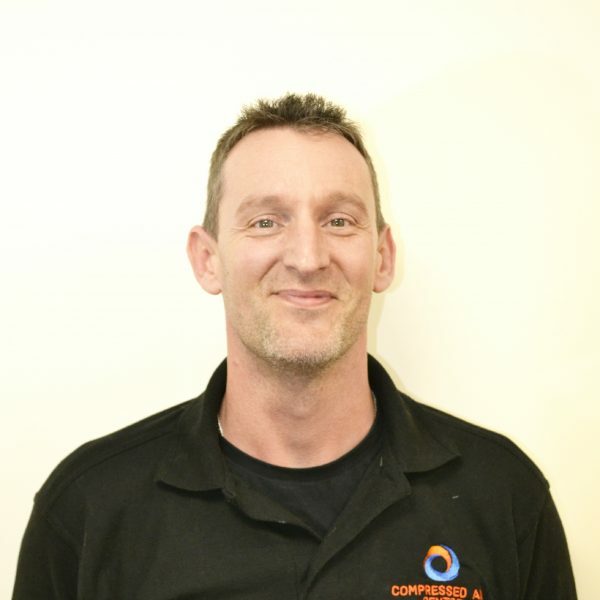 Kevin is the newest member of our service team and having passed all of his manufacturer’s training courses with flying colours has become our maintenance service master. He is certainly our cheekiest and naughtiest engineer which we can only put down to his RAF background! When he’s not working he enjoys travelling abroad, galavanting around the country with his new wife (he’s never in) and, when allowed, the odd round of golf. Rob has been with us for 16 years now and is our Stores Manager. Not only is he responsible for the store but he mans our Trade Counter and specialises in all types of compressed air fittings and hose. Rob also fulfils the large majority of our purchasing. He is a man of many talents and when he is not at work he is a very accomplished singer and badminton player, playing in various Surrey leagues. David has been with us for just over a year. 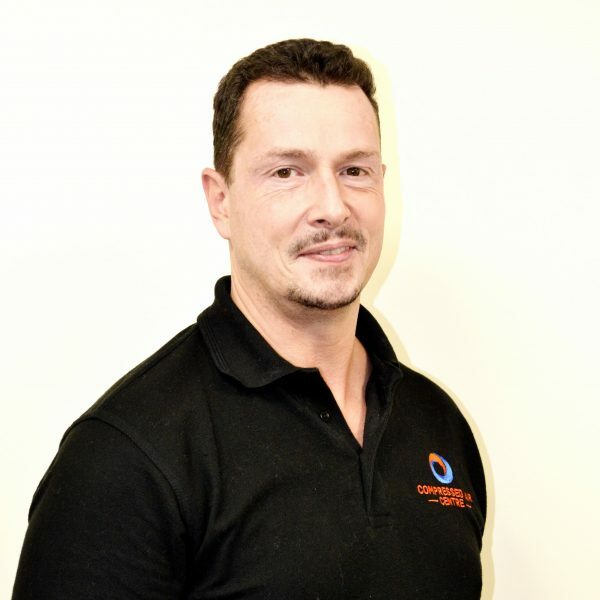 David comes from a very experienced engineering and sales background and heads up our growing sales team. 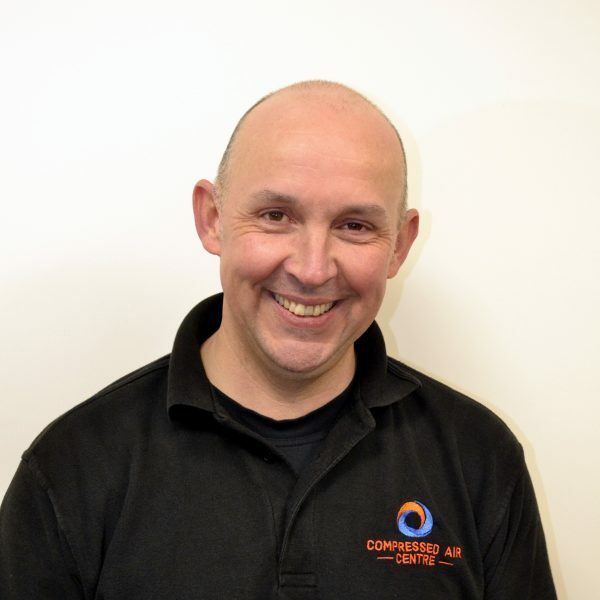 He is your man for all things compressed air and specialises in new compressed air installations. David is a keen car enthusiast and whenever he gets the chance can be found touring in his classic Porsche (or underneath it)!! Peter works with David in our sales team and enthusiastically travels the length and breadth of the South of England looking for new business. He also works in the office and is responsible for new service quotations and helps out with direct sales. When he’s not doing this he enjoys spending time with his family, the odd round of golf and having a kick about with a football. Michael is our Book-keeper and office manager. He is extremely organised and loves an internal e-mail to keep us on our toes. He has been with us for 9 months and has helped to turn around the cash flow of the company. Michael is a keen Rugby fan and can often be found on the terraces of his local club, Richmond FC, with his best friend “Jack Daniels”. 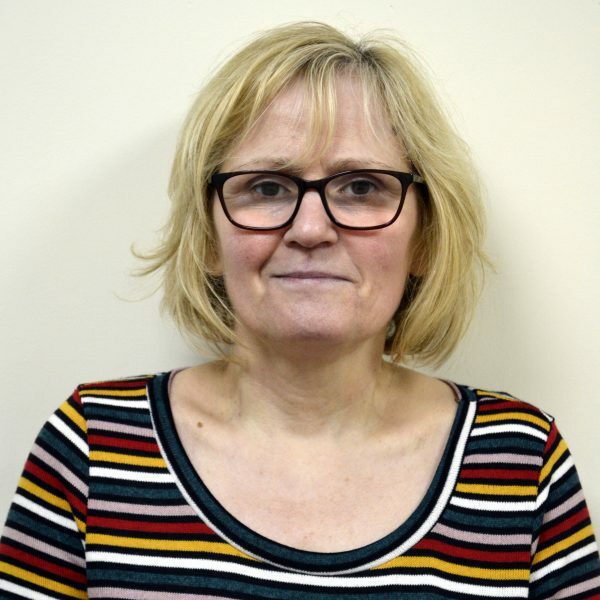 Helen is our newest member of the family and has joined us as our Service Administrator. 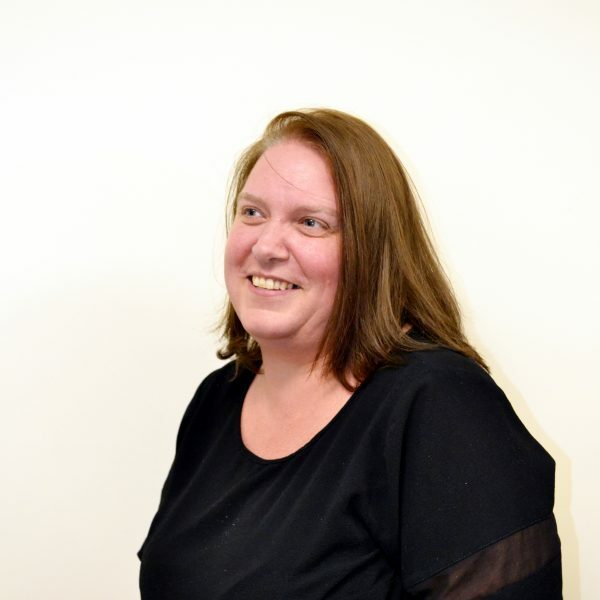 She is responsible for all the service booking and planning and works closely with Kim in attempting to organise our service engineers (and that’s no easy task)! In her spare time she is a keen flower arranger and devotes her love and time to her family and animals. (Yes, she’s a mad cat woman). Karen is our domestic goddess and as her name suggests, really is too good to be true. She has been looking after us and keeping our offices clean for the last 25 years! She really does deserve a medal! Now our Karen loves her holidays with her husband and the odd cocktail or three! 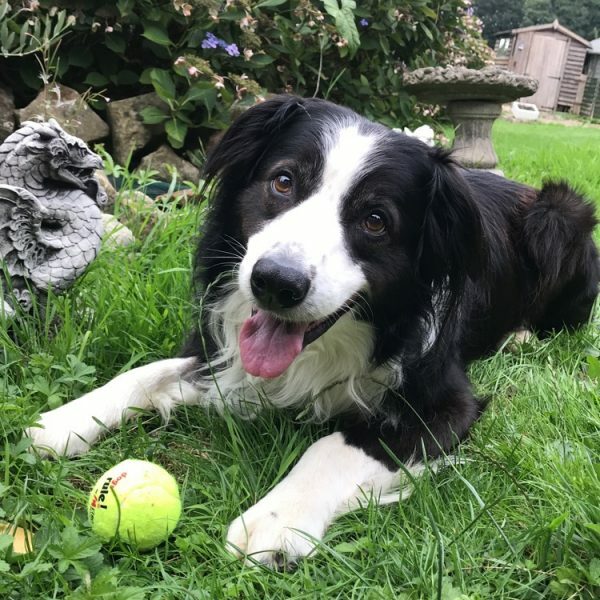 Shep is our loving and loyal Border Collie mascot and all round good guy. Typical of his breed he likes to lay in doorways and keep his beady eye on us all. He has a very sweet tooth and any reps visiting are not allowed through the door unless they have a chocolate biscuit or jam doughnut to share. When he’s not working he enjoys walks in the Surrey Hills and having lots of fuss made of him!